It’s time once again to “get ready to match the stars” with a new edition of Dennis Hensley’s The MisMatch Game, the show the Los Angeles Times calls, “witty, ribald … an adventure in surrealist era bending.” The side-splitting parody of the 70s game show returns to the Los Angeles LGBT Center’s Renberg Theatre for two hilarious nights, Saturday, August 29 at 8pm and Sunday, August 30 at 7pm. Producer and host Dennis “Gene Rayburn” Hensley will be joined onstage by a panel of some of L.A.’s most creative, hilarious, and demented comic minds. Hensley and company are once again generously donating the proceeds to benefit the Center’s array of free and low-cost services. 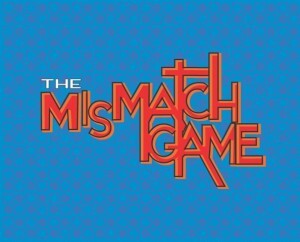 Since its debut in 2004, The MisMatch Game has raised well over $100,000 for the Los Angeles LGBT Center. With kitschy prizes for volunteer contestants pulled from the audience, it’s time to dig out that leisure suit for another run of the perennial cult favorite. Fractured celebrity impersonations include such luminaries (living and otherwise!) 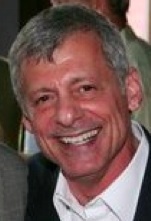 as Zooey Deschanel, Bea Arthur, Harvey Fierstein, Cher, Ricardo Montalbán, and Tim Gunn. The casts for these shows will be posted at lalgbtcenter.org/theatre. Brimmer Street Theatre Company has announced its 2015 Benefit Gala, VISIONS AND DREAMS: a lucid performance fundraiser, on Saturday, August 15. Dreamtime will be from 7—11pm at the spectacular new campus of Emerson College LA. Net proceeds will help fund BSTC’s theatrical work including its flagship new play development programs — the Blueprint Series and Breaking Ground. VISIONS AND DREAMS will showcase immersive performance art from the Brimmer Street ensemble, an open bar featuring craft beer and local wine, a silent auction featuring tickets to premiere cultural events, food and art created exclusively in Los Angeles, and open views from the beautiful outdoor terrace on the fifth floor of the brand new Emerson College LA. Semi-formal attire is requested. Tickets for VISIONS AND DREAMS: a lucid performance fundraiser are $50 and are available online at http://brimmerstreet.org/. Emerson College LA is located at 5960 Sunset Boulevard in Los Angeles, 90028. Parking is available on Gordon Street just below Sunset. Brimmer Street Theatre Company’s seventh annual Blueprint Series is now accepting submissions, with a deadline of August 24 to submit applications. The Blueprint Series provides opportunities for playwrights to work with the BSTC ensemble, in collaboration with other artists, to develop new plays. The BSTC Blueprint Series focuses on developing work from the ground up (completed scripts are not eligible for this program). Projects will be selected by the BSTC ensemble based on the concept of a play, including genre, plot, cast, along with other elements. Duration of the development process is ten weeks, at the conclusion of which the company may offer further studio development, a public reading, or even a full production of a play that has been built during the process. Past Blueprint Series projects have included Pack up the Moon by Christina Cigala (produced by BSTC in 2013), All Your Hard Work by Miles Brandman (produced by BSTC in 2012), 1969 by Damon Chua (produced by GatChu Productions and Rogue Machine Theatre in 2012), Leiris/Picasso by David Jette (produced by BSTC in 2010), and more. Applications for the 2015 Brimmer Street Theatre Company Blueprint Series may be downloaded at http://www.brimmerstreet.org/blueprint/, and submission deadline is Monday, August 24 at midnight. Those interested in participating as collaborative artists, including actors, directors, designers, and producers, should email info@brimmersteet.org.